PLEASE NOTE. ALL CUB SCOUT RANK REQUIREMENTS WHERE REVISED AND GO INTO EFFECT JUNE 1ST 2015. 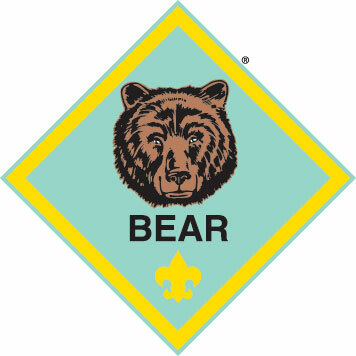 All Dens (except Webelos 1 moving into 5th grade aka Webelos 2), are to follow the new Cub Scout advancement requirements. All Belt Loops where revised as well, and are now earned by Rank. Click here for details on the new Belt Loops. For the details about all of the Cub Scout advancement enhancements, please visit Scouting.org. Webelos 2 are to allowed to earn Arrow of Light under the previous advancement, unless the Webelos 2 is a new 5th boy joining cub scouts for the 1st time into the program. Then this 5th grader will follow the new Arrow of Light requirements. 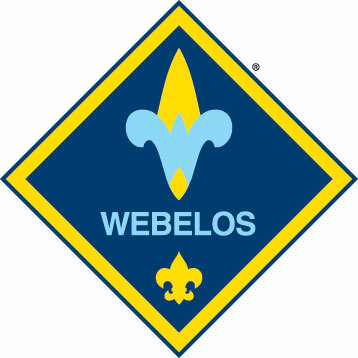 For details around the Webelos advancement, please click here. Any boy who is 7 years old or in first grade can join as a Tiger. 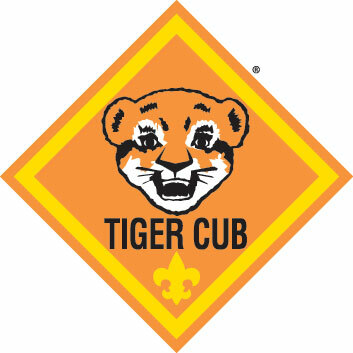 The Tiger Cub program is a one-year introduction to Scouting. The Tiger Cub motto is "Search, Discover, Share." The program transitions the boys (and parents!) to the Cub Scouting program, which lasts 3-1/2 years. Each Tiger Cub joins with an adult partner and forms a team basis. Tiger Cub groups operate on a system called "shared leadership." Each boy & adult team takes their turn in providing leadership within the Tiger Den. In this way, each boy has the opportunity to serve in a leadership role with an adult partner during his Tiger Cub experience. The Tiger group also attends the monthly Pack meeting. By February they will earn their first achievement rank - Tiger. 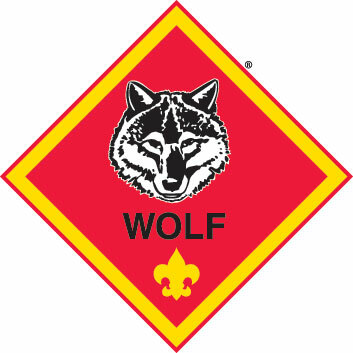 Any boy who is 8 years old or in second grade can join as a Wolf. But first, you must earn your Bobcat rank. A Wolf den meets to complete Achievements and electives so each boy may earn his rank and arrow points by February. The Wolf den also attends and participates in the monthly pack meeting. In keeping with Cub Scouting's family-oriented principle, parents are encouraged to attend den meetings and pack meetings. Any boy who is 9 years old or in third grade can join as a Bear. But first, you must earn your Bobcat rank, if you haven't already. A Bear den meets to complete Achievements and Electives so each boy may earn his rank and arrow points by February. The Bear den also attends and participates in the monthly pack meeting. In keeping with Cub Scouting's family-oriented principle,parents are encouraged to attend den meetings and pack meetings. Any boy who is 10 or 11 years old, or in fourth or fifth grade, can join as a Webelos. But first, you must earn your Bobcat rank, if you haven't already. A Webelos den meets to complete Activities to earn rank badges, compass points, and the Arrow of Light. Webelos begin to experience outdoor activities. The Webelos den also attends and participates in the pack meeting. Parents are expected to volunteer to help with at least one activity in a den meeting, and will need to be involved during outdoor activities such as camping.